Don't have a trailer of your own, or need a bit more space for your camping adventure? 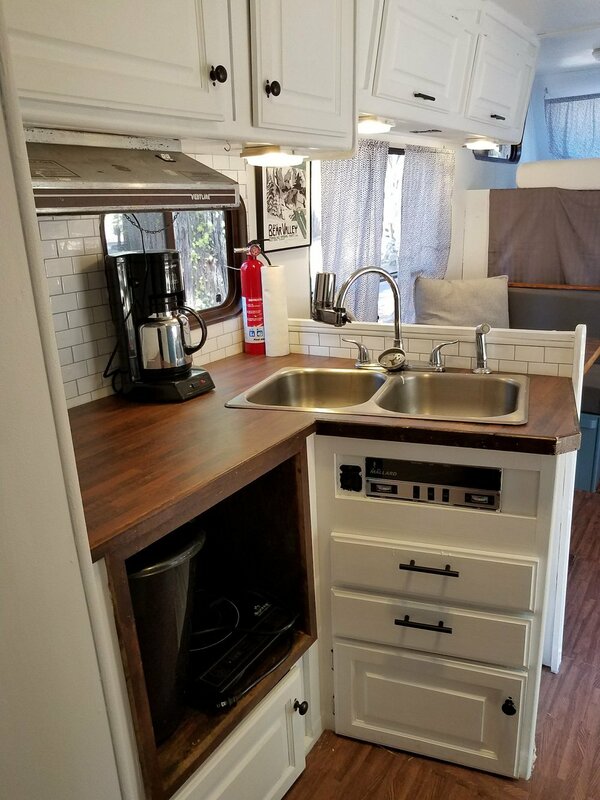 The Bungalow rental RV, located on the outside of the park's main circle is great for guests who prefer a few more amenities in their campsite, but don't need as much space as in our other trailers. 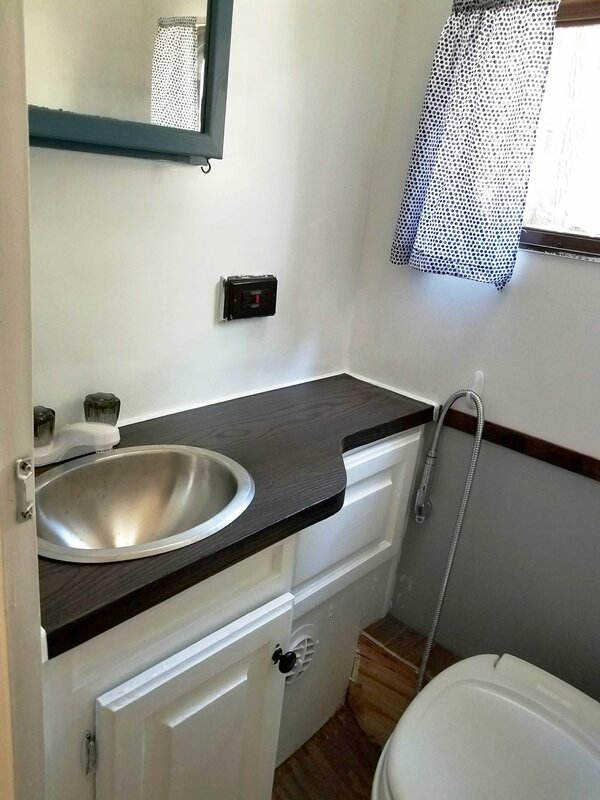 The Bungalow is a renovated 1988 Ford Mallard and features a small kitchen and living space, bed room, and bath with hot shower. It can sleep up to 4 people between its full bed above cab bunk and queen bed. Fitted sheets provided, guests must provide their own bedding, pillows and towels (emergency bedding available for a small fee). The Bungalow also features an outdoor seating area with fire pit at the more private rear of the site. *A deposit equal to the price of your first night's stay($95) is required at the time of reservation. Call us at (209) 795-2820 to start your camping getaway.